Sarah Pallett, Bourn Hall’s business development director, said: “Our concern is people often go into denial about their fertility problems and put off getting advice through embarrassment. The new clinic has been designed to feel more like a boutique spa than a clinical hospital environment. 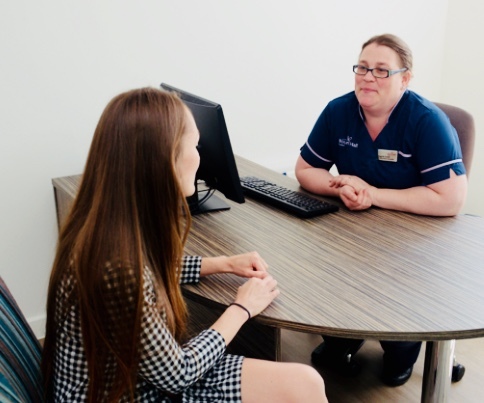 It has four consulting rooms – which are interconnected with examination rooms – dedicated counselling rooms, five comfortable bays in recovery, an on-site lab, theatre and scanning room. It will provide a full spectrum of fertility services. These will include initial fertility testing right through to IVF treatment, either NHS or self-funded. Free IVF treatment is available for those who meet the criteria for donating or sharing eggs and sperm. And the clinic also offers a unique fertility wellbeing hub – which will support clients in improving nutrition, fitness and reducing stress while having treatment. The new IVF clinic comes as NHS funding for in vitro fertilization has been slashed across Essex. National guidelines say clinical commissioning groups should offer three cycles of IVF to patients – but in a bid to save the NHS cash, this is no longer being followed. Basildon and Brentwood CCG offers no IVF whatsoever, neither does North East Essex, or mid Essex. Castle Point still offers two cycles. And most recently, Southend – after an extensive consultation process – now offers just the one cycle – and only if you’re under 40. Because of this only about 30 per cent of patients at Wickford’s Bourn Hall are expected to be NHS referrals – the rest will be private clients.